Nearly all financial decisions have tax ramifications. Tax liabilities associated with investments, estate, gift and real estate taxes, among others, can take a toll on your wealth. Our team of experienced professionals can help coordinate the various aspects of your finances and investments seeking to maximize tax-efficient strategies in line with pursuing your overall financial goals. 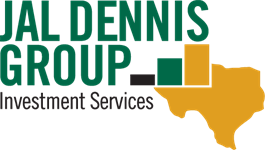 Tax services, including income tax return preparation, are not offered by LPL Financial or the Jal Dennis Group.